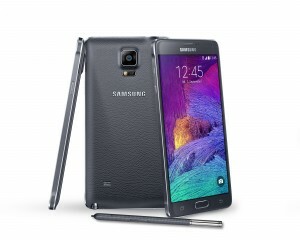 The Galaxy Note 4 was released by Samsung for AT&T back in October 2014. It was released in black or white in a 32GB model variant, which can be externally expanded up to 128GB. This is the 4th phablet released in Samsung’s Galaxy Note series. It has a 5.7″ super AMOLED touch screen with Corning Gorilla Glass and supports (PayPal verified) fingerprint sensor technology. It also has a 16MP camera with a 2160p video recorder, and a 3.7MP front-facing camera with a 1440p video recorder. The camera on the Note 4 supports simultaneous video and image recording, face and smile detection, auto and touch focus, and much more! This phablet is highly efficient and functional, courtesy of its octa-core processor, Adreno 420 and 3GB RAM. This model comes with a S-Pen stylus and supports Quick Charge 2.0; charge your Note 4 up to 60% in just 30 minutes! Unlocking your AT&T Galaxy Note 4 is fast, simple and 100% guaranteed by Cellunlocker.net. Why Unlock your AT&T Galaxy Note 4 with Cellunlocker.net? Unlock Your AT&T Samsung Galaxy Note 4 Today!